While the Tokyo 2020 Olympics are still some 18 months out on the horizon, close Olympics watchers know that 2019 marks an important build up towards this next Olympic regatta, and top medal-contending athletes need to be demonstrating some real speed and smarts compared to their rivals. 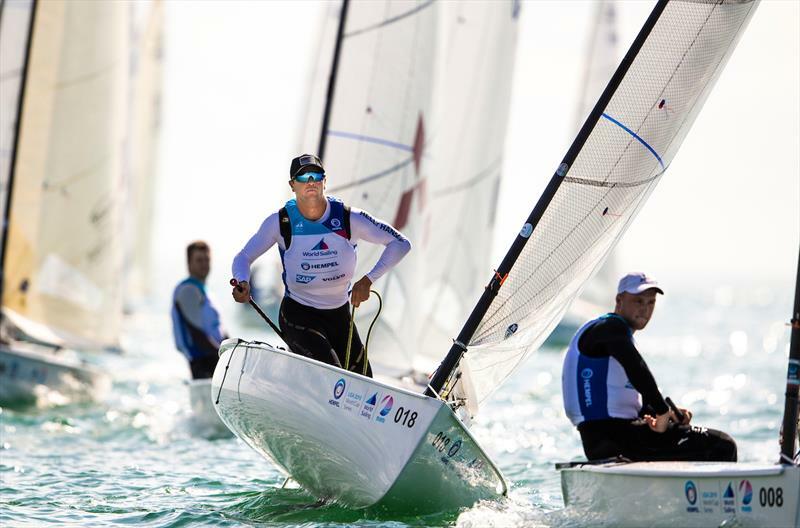 The first major 2019 regatta on the road to the Tokyo Games unfurled last week in thin, cerebral breezes at the 2019 Hempel World Cup Series Miami (January 27-February 3) on the waters off of Miami, Florida, where two U.S.-flagged sailors earned silver and bronze medals in the Laser Radial and Finn classes (respectively). American Paige Railey has been racing Laser Radials at a high level for half of her life and is no stranger to Olympic pressures, having sailed in the London 2012 Olympics and the Rio 2016 Olympics. While the 31-year old Floridian has yet to earn an Olympic medal, it's important to note that Railey sustained a serious biking injury in 2014 that nearly curtailed her entire Olympic career. 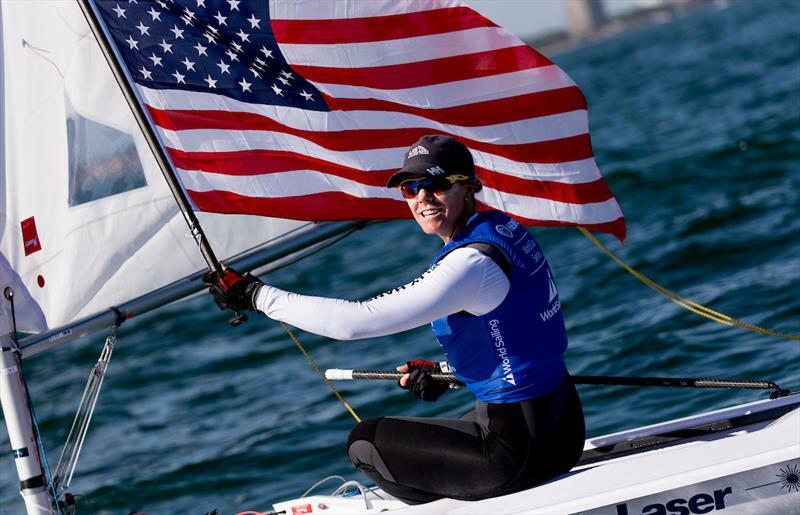 "The goal is to finish my career with a gold medal in Tokyo 2020," said Railey on her US Sailing profile page. "I have a good feeling about this Olympics. I am a changed and more mature person. It's times of difficulty that you grow and learn if you allow yourself to. 2017 was a huge learning year for me and I can see the direct results in my racing for the new quad." "Everything keeps evolving and changing; I just keep trying to learn new things," said Railey in an official team press release. "As the game progresses, I need to stay up to date so when the girls bring new things to the table, I force myself to learn how to do it. Also I never stop believing in myself." 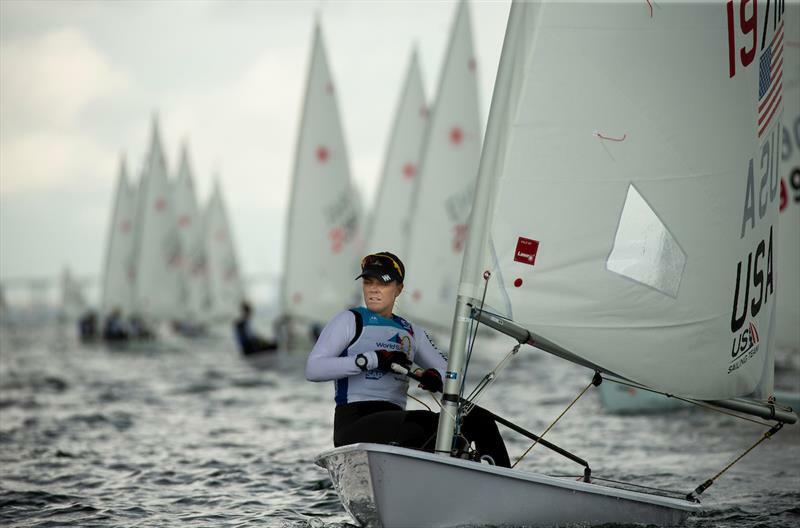 Also, it should be noted that Erika Reineke (USA) finished in sixth place in the Laser Radial fleet, and Sarah Douglas (CAN) posted a tenth-place finish. Meanwhile, in the Finn class, American Luke Muller earned a Bronze medal by claiming two bullets and no scored result worse than 13th out of 27 boats (his discarded result was a 16th). "It means a lot," said Muller in an official team press release. 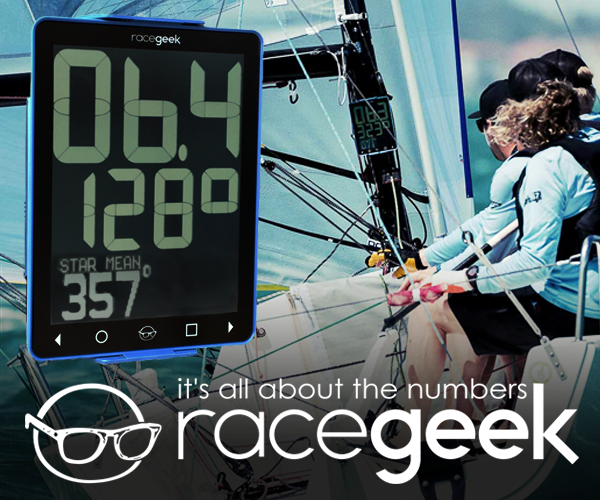 "Then again, it's one regatta and we had pretty much one type of conditions and I'm pretty good at [those conditions]. I know that I have a lot of weaknesses and a lot to work on, and I'm striving and determined to keep going and keep that up. 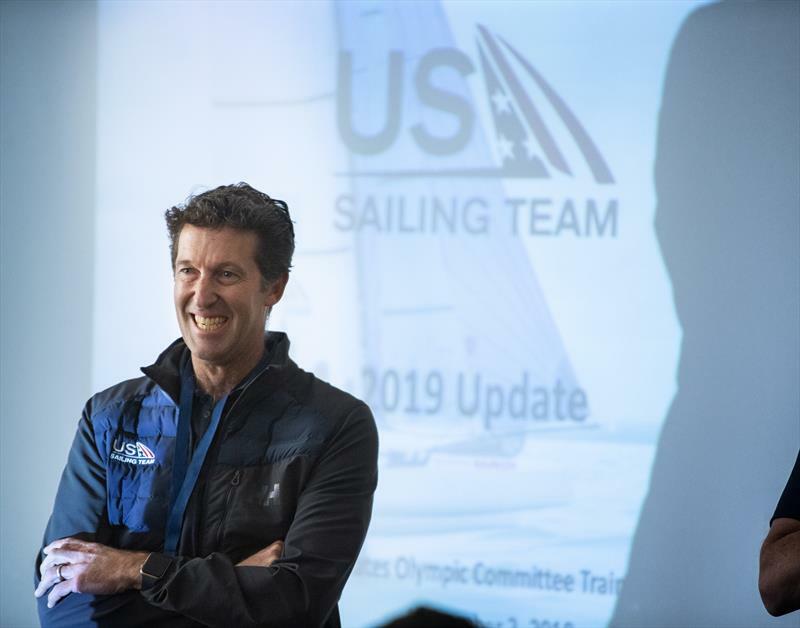 It's definitely a great step and I'm grateful for my team with Luther [Carpenter, U.S. Finn coach] and [fellow Finn sailor] Caleb Paine and just hoping to go up from here." Additionally, Canada's Tom Ramshaw finished in fourth place in the Finn class. As for the U.S. team's overall results, Malcolm Page, who serves as Chief of U.S. Olympic Sailing, was pleased. "The team performance is way up," he said in an official release. "It's been a lot of hard work to get here, and I remember a significant moment four or five months ago when we sat down in Aarhus [Denmark] and we realized our performance wasn't going as well as expected on average." "We sat down with the coaches and brainstormed over what needed to be done to achieve that," continued Page. "Our big takeaway from that was to build confidence. We know our athletes have the talent, but they don't always have that confidence to do it at the world championship level. We always said that 2019 had to be our year to achieve that. It's only just begun, and we've had a great week. 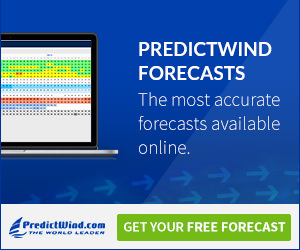 We didn't have these results [last year], but we're still far from our potential." 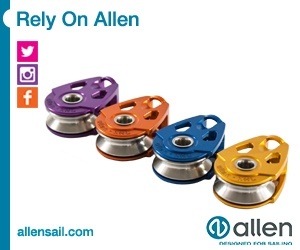 Sail-World.com wishes all American-, Canadian- and Mexican-flagged teams the best of luck in unlocking their potential over the next 18 months. 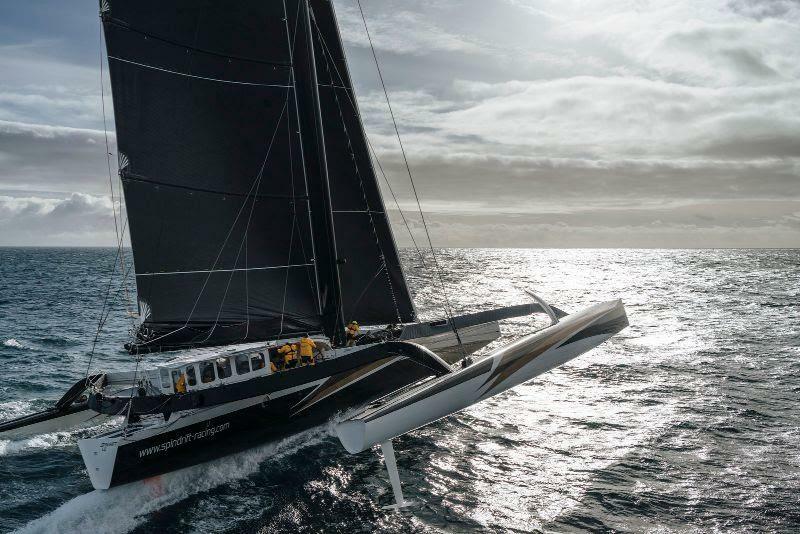 And in ocean-racing news, skipper Yann Guichard's (FRA) and his crew aboard the 131-foot, state-of-the-art maxi trimaran Spindrift 2, have been forced to abandon their Jules Verne Trophy attempt for the fastest circumnavigation time after sustaining damage to their starboard rudder that was beyond their ability to safely repair at sea. "Because of this technical problem we have no choice but to stop this record attempt," reported Guichard on the team's website. "It is a huge disappointment to all of the crew. We are now heading to the south West Coast of Australia and expect to reach there in the next four days." 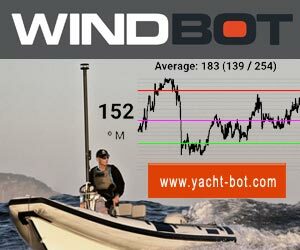 While this is no doubt a setback to the team's near-term goals and aspirations, Sail-World.com applauds their efforts and those of all other adventurers who dare to look just a little bit further beyond the next bend. 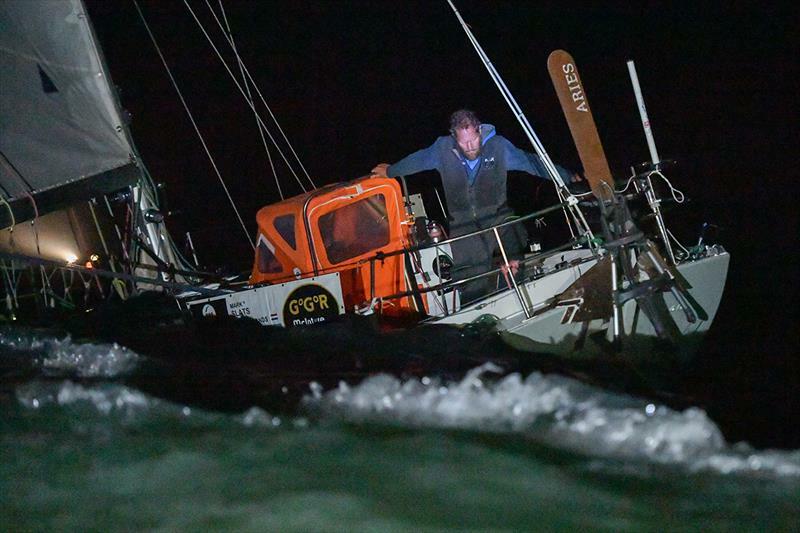 Speaking of which, Mark Slats (NED; 41) has finished in second place in the Golden Globe Race 2018, arriving in Les Sables-d'Olonne, France some 214 days, 12 hours, 18 minutes and 30 seconds after beginning his epic circumnavigation journey. Impressively, the next GGR 2018 contestant is (at the time of this writing) still some 3,150 miles from the finishing line. Carlo Falcone has been competing in the Antigua Classic Yacht Regatta for the last 25 years, racing and winning with his superb vintage 1938 Mylne-designed Fife-built yawl Mariella. A lot of the focus at the Oceanbridge NZL Sailing Regatta was on the performance of Peter Burling and Blair Tuke. They returned to the 49er after a 30-month absence. Plus a look at the Am Cup latest. 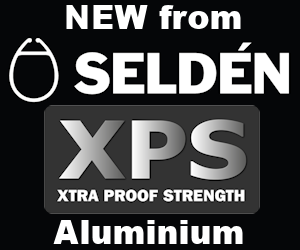 Max Sirena, Team Director and Skipper of Luna Rossa Challenge, will endorse the "S.A.S." 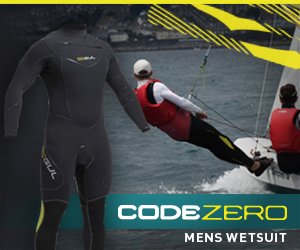 project that Foiling Week™ will launch during the events. The $1.5billion a year New Zealand marine industry is expected to receive a significant boost with the announcement and sign-off on a massive refit facility adjacent to the America's Cup bases currently under construction in Auckland. Another new for the 72nd Newport to Ensenada International Yacht Race; the finish line will be positioned just south of the Hotel Coral Marina breakwater, yet about a half-mile north of its position in recent years. After four days of exciting racing and fabulous parties the 9th edition of the Superyacht Challenge Antigua came to a conclusion on Sunday 3rd February. The Notice of Race for the 10th edition was announced with the 2020 edition. Beautiful sunshine and light breeze welcomed this morning the 36 teams attending the inaugural Star Junior World Championship at Coral Reef Yacht Club in Miami, USA. As Jean-Luc Van Den Heede and Mark Slats struggle to come to terms with life ashore, a race is developing for the final podium position between Estonian Uku Randmaa and the US/Hungarian Istvan Kopar. After almost two hours and 36 minutes of racing the French team of Cheminée Poujoulat took the win just 15 seconds ahead of the Oman Shipping Company entry, with EFG Bank taking the third spot on the podium. I checked in with Paul Gingras of the RS Aero Palm Beach Fleet, via email, ahead of class' upcoming midwinter regatta (February 9-10, 2019), to learn more about this athletic-sounding event. 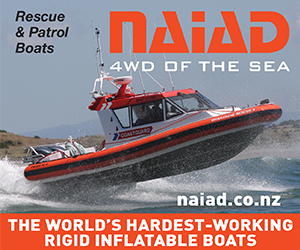 Last year's OK Dinghy world championship bronze medalist, Jan Kurfeld, from Germany, has opened his challenge for this year's world title fight with a win at the 2019 New Zealand National Championship after two very different days on the Hauraki Gulf. Happy 90th birthday Transpac Yacht Club! Not every yacht club is founded by a man lying down. It was, however, a man lying down on February 3, 1928 who brought forth the Transpacific Yacht Club. We might add that the man was a serial founder. If you have done enough racing, chances are you've had more than your share of going from boiled lollies to chocolates. The Smeg team of Michael Coxon, Ricky Bridge and Mike McKensey showed their class in the 17-20-knot North-East wind when they scored a spectacular win in Race 5 of the Australian 18ft Skiff Championship on Sydney Harbour today. Peter Burling and Blair Tuke made a habit of winning in the last Olympic cycle and started their new campaign in style by taking out the Oceanbridge NZL Sailing Regatta today. They did it against arguably the strongest New Zealand 49er fleet ever. The penultimate day of the Superyacht Regatta was a special day for Rebecca. 20 years old and still looking as beautiful as the day she was launched from the Pendennis Yard, Falmouth, UK. Last night the Montego Bay Yacht Club celebrated winners of the 34th edition of the Pineapple Cup – Montego Bay Race. Over 170 attendees including the Honorable Custos Rotolorum Bishop Conrad Pitkin, and His Worship Mayor Homer Davis of Montego Bay. Last year, over 100 junior sailors from five nations competed. This year, organizers expect the same number or more as the Optimist World Championships take place less than three weeks after the IOR on the Caribbean island of Antigua. Based in Concarneau, his firm, Kaïros using its refit yards and coaching services, is involved with the IMOCA projects skippered by Yannick Bestaven (Maître CoQ), Kojiro Shiraishi (DMG Mori) and Maxime Sorel (V&B). In keeping to its mission of building an all-American team, Stars + Stripes Team USA, challenger for the 36th America's Cup presented by Prada, today announced an open application process for athletes and professionals applying for positions on the team. Andrew Dove and Mike Toppa are both excited about the 2019 racing season in the islands, which Andrew calls “one of the ideal places in the world to sail." The second day of the Superyacht Challenge Antigua had all the hallmarks of spectacular racing. The magnificent fleet enjoyed exhilarating conditions on the south-side of Antigua with brilliant sunshine, solid breeze and a good sea state. The Australia SailGP Team's revolutionary new F50 set sail on Sydney Harbour for the first time today, as the two-week countdown to SailGP's inaugural event begins. The Ker 46 Lady Mariposa crossed the finish line in Montego Bay at 08:33:05 ET this morning with an overall elapsed time of three days 18 hours 28 minutes five seconds. 2019 has got off to a wonderful start in international sailing with Australia and New Zealand hosting numerous World Championships, showcasing the variety of our sport. It has been encouraging seeing so many people on the water. The Trofeo Princesa Sofía Iberostar, one of the most important Olympic Classes regatta in the world, sets the trend once again and becomes the first sailing event to apply the gender equality criteria requested by the International Olympic Committee. The US Sailing Association Award winners for 2018 were recognized Thursday afternoon for their contributions to the sport of sailing in the United States. 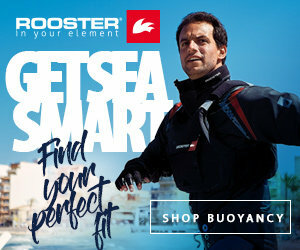 Thinking about treating yourself to a new boat for 2019? 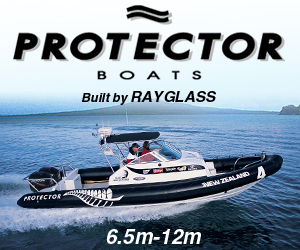 P&B have a wide range of boats in stock, and they're all ready to be fitted out to P&B's championship winning specification or individually tailored to your requirements. A look at the current news and developments on the 36th America's Cup including base construction, Britannia for Auckland, Nationality issues clarified, World Series event changes, Malta Challenge update and more. The Royal Torbay Yacht Club is pleased to announce the appointment of GAC Pindar as the Event Shipping and Logistics Provider for the J/70 2019 World Championships being held in Torquay August 29th to September 6th. Mack One wins their second Australian Championship with a race to spare after dominating the series held at Festival of Sails. "It's just one cup..." but if every one of us reduces our plastic waste consumption by just one item every day it will make a huge impact. 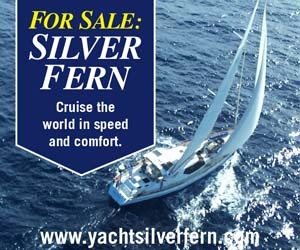 So how about we all take one step towards a more sustainable sailing life. The Notice of Race and Sailing Instructions for the 2019 Para World Sailing Championship, which will be held in Puerto Sherry, El Puerto de Santa María, Cadiz, Spain from 30 June - 7 July has been published. Sixteen competitors took to the waters of Charlotte Harbor over the weekend of January 25-27 for the 2019 Edge Sailing Midwinters - event three in the five-event 2.4 Meter Can Am Championship series. Olympic champions, America's Cup winners, round the world sailors and a host of former world champions will go head to head next week when the Symonite 2019 OK Dinghy World Championship gets under way at Wakatere Boating Club on Auckland's North Shore. 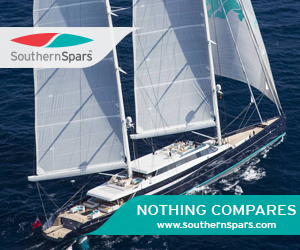 With just three months to go before the 52nd edition of Antigua Sailing Week there is a fantastic line up of yachts entered. Well over one thousand sailors will participate, many flying in from all over the world. 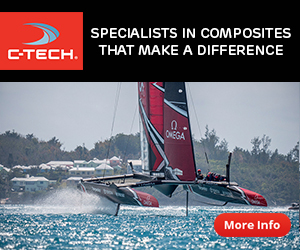 The wait is finally over for the Great Britain SailGP Team, as their supercharged F50 catamaran took to the water for the first time on Tuesday in Australia.